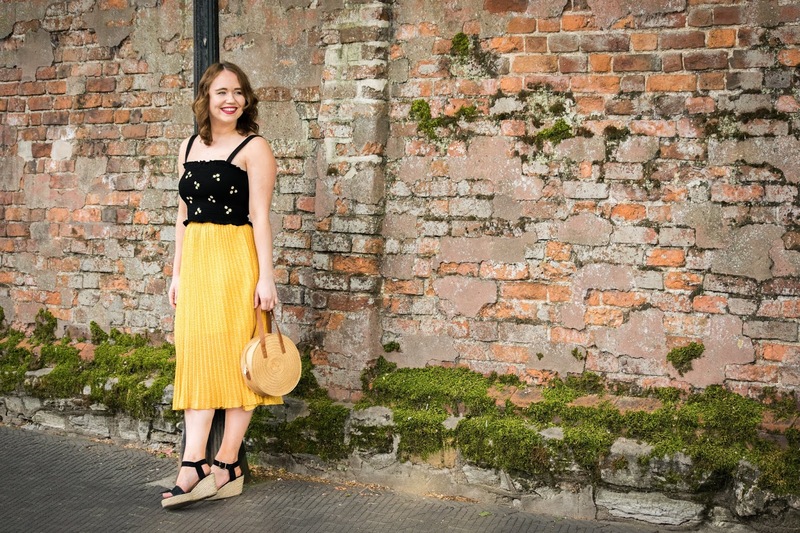 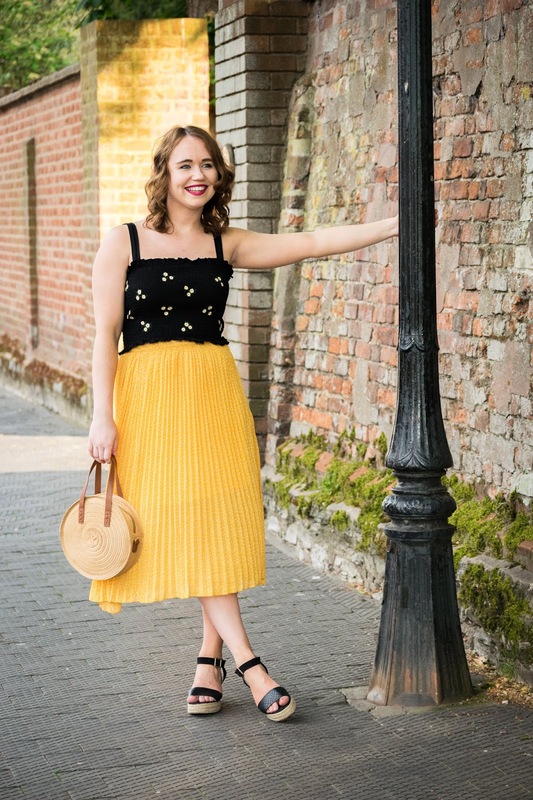 Today I'm styling the Fran Woven Polka Dot Pleated Midi Skirt from Boohoo (£20) which also comes in a navy colour, but as soon as I saw the yellow online it just shouted summer and the glorious yellow sunshine we have been having as of late in the UK. 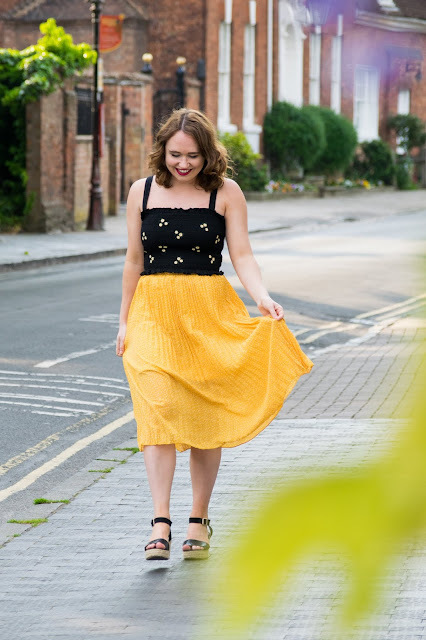 I think that with yellow being so bright you need to either pair it with white or black, I opted for the later with this H&M black smocked top with yellow flowers (£12.99). I think they matched perfectly and the top is super stretchy meaning I have room for all that summer ice cream! 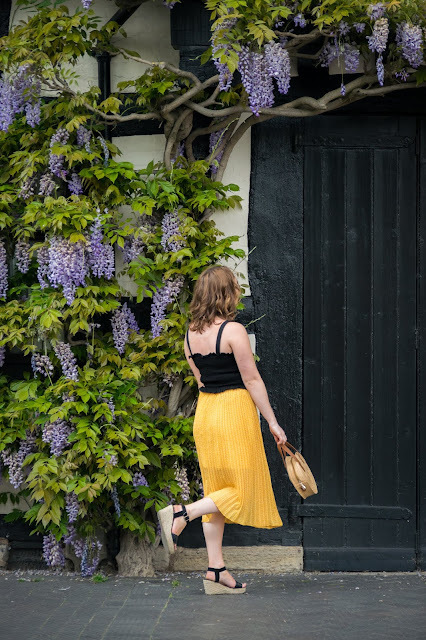 I finished off my polka dot outfit with La Redoute black wedges and a woven cross body bag from George at Asda. 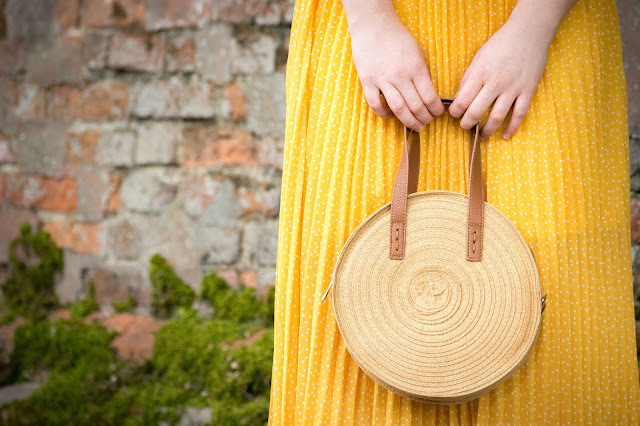 I have been desperate to find a bag like this for ages but didn't want to spend a fortune and couldn't believe my eyes when I saw this online at Asda for just £14!